Dry Dry Basement | Yobot Inc.
At last, the basement is officially dry. Robert supervised the installation of the drain tile on a fine Monday morning. 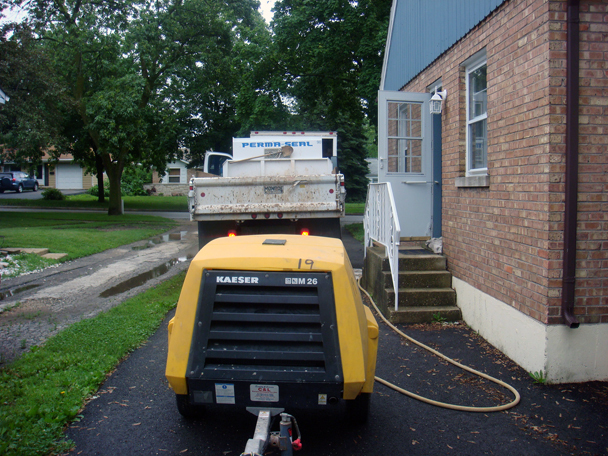 The truck arrived with 7 folks to do the work, which they accomplished in just one day. When giant chunks of foundation concrete are removed from your home, that makes you feel like a real homeowner. 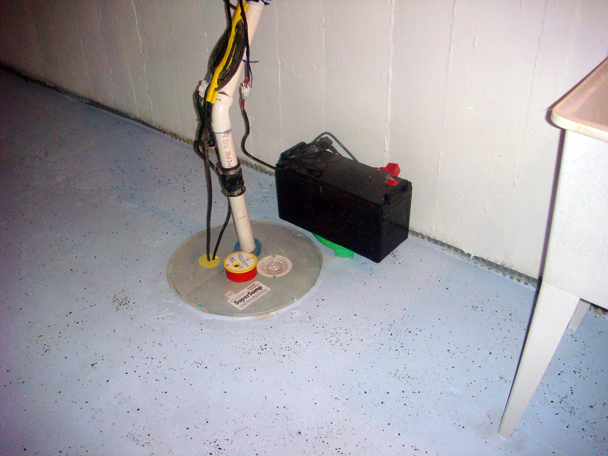 After much ruckus, the drain tile was installed and the sump pump operational. It’s strange to think that we’ve installed a system where the water is welcomed into the house, invited in to stay for a while, then sucked into pipes, and then thrown right out of the house. The new sump pump is like our house’s bouncer. 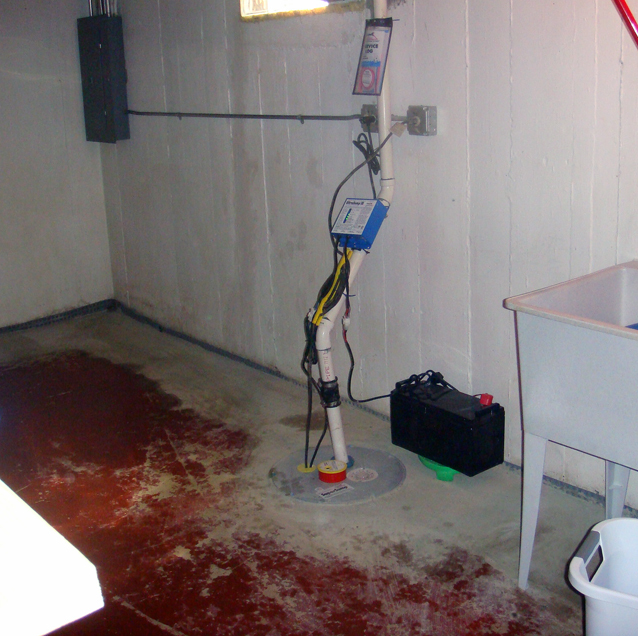 The post-sump-pump-and-drain-tile-installation-clean-up was significant, with much scrubbing of mud, removal of concrete dust, and mopping of floors. Don’t let anyone tell you that it’s not messy. It is. Messy and muddy, especially when it rains on the day of installation. Look how ice blue the new painted floor is! Such an improvement. My Mom and Dad (thanks Mom & Dad!) came up and helped us put the basement back together. We painted, installed wall paneling, and painted some more, with very exciting results. The laundry room is nice now! Now, we just need a huge rainfall to really test the system to verify that it won’t leak. I’ll go check the weather.